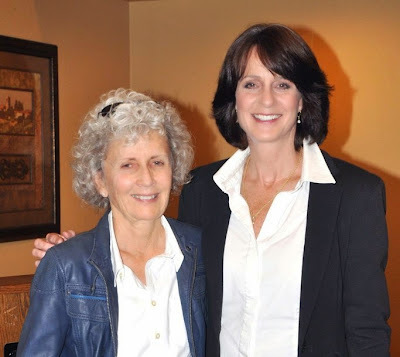 Last week I met Sue at the Palo Alto Awards Banquet and what a dynamic woman she is! Such a fun night was had by all. And I'm thankful I had the opportunity to meet her (and her students) and the rest of the 99 group. 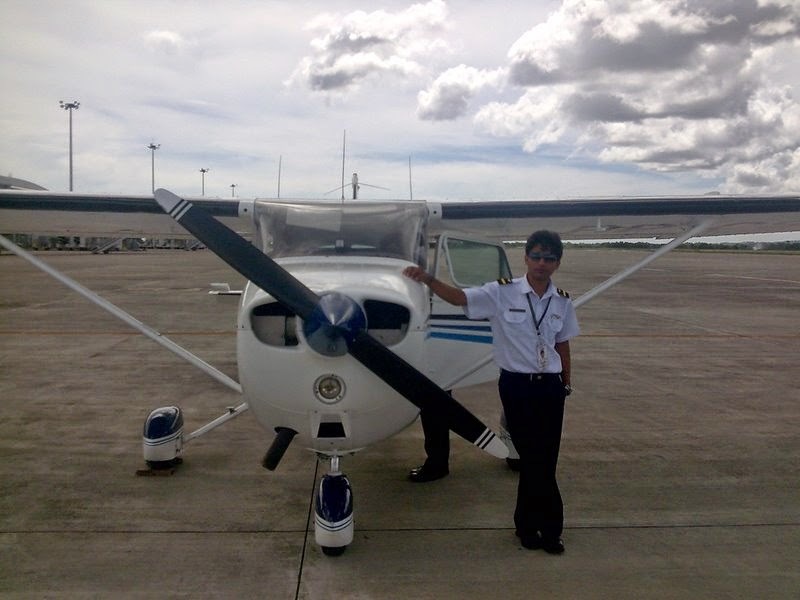 And today you have the great opportunity to meet this dynamic flight instructor! 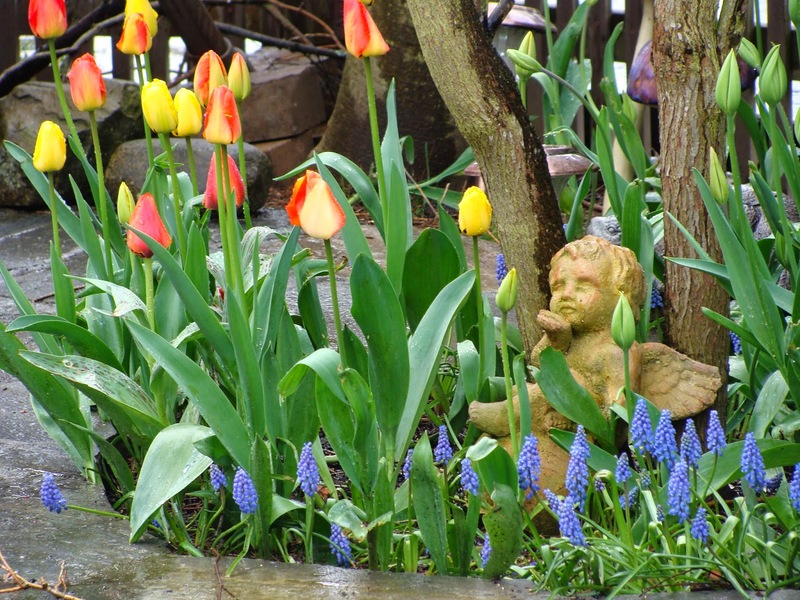 "I graduated with a degree in Ornamental Horticulture and immediately set out to pursue my passion for plants by starting an Interior Plantscaping company, Garden Habitats Inc. I received my Landscape Contracting License in 1982. After owning and operating a successful, “award winning” Interior Plantscaping company for more than 20 years, providing the interior plants for some of the largest and most prestigious companies in Southern California, and working with some of the most creative and talented people in the business, I was looking for a new and exciting challenge. I had always wanted to fly, but that image had been of “flying like superman”. 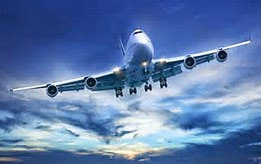 Then one day while searching for this new challenge, I realized that maybe I could fulfill that dream, but in an airplane. So I was off to the airport, found the perfect instructor, and 5 months later in 1996, got my private pilots certificate. 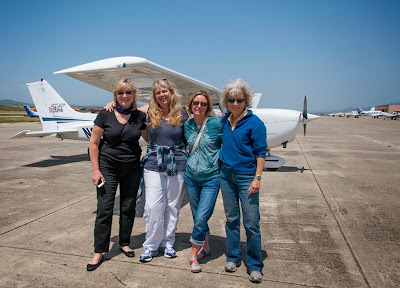 I joined the 99s – The International Organization of Women Pilots, and a whole new world opened up. I was flying everywhere, meeting new people, flying in air races, and having a blast. Next came my instrument rating. Then in 1997 I decided it was time to sell my company and move on to new adventures. I was bitten by the “flying bug” and I proceeded to get several more ratings, including my instructor rating, taught flying for a year, got a Citation Jet Type Rating, then got hired by the airlines and moved to sunny Puerto Rico to fly to 25 destinations in the Caribbean. I was truly living my dream. Then 911 happened and everything changed. 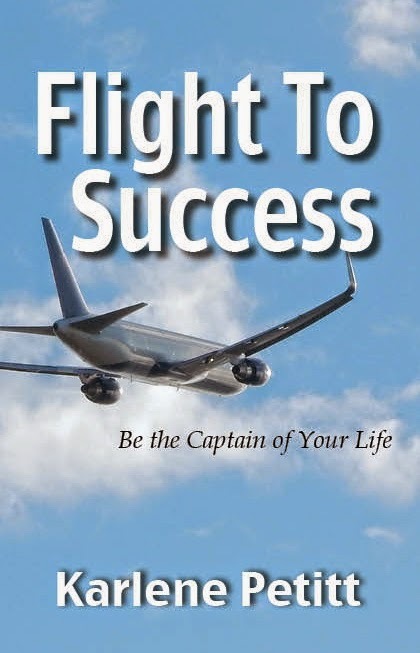 I stayed at the airlines another two years, flew throughout Florida, the Bahamas, and Cuba, and then resigned. Realizing the industry changed after 911 and wasn't what I had hoped for, I left, only to discover that what I truly loved about aviation was flying small aircraft and the enthusiastic pilots and future pilots that can be found at local airports." 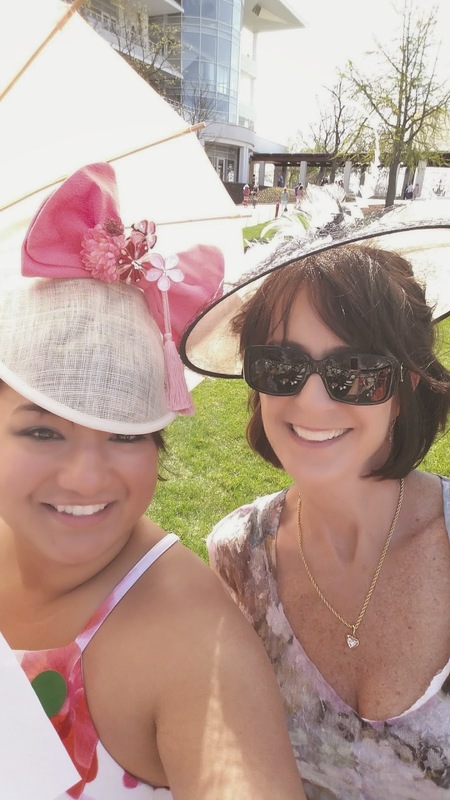 Sue also organizes monthly flyouts for one of the clubs which coincides with the Santa Clara Valley 99s flyouts. And anyone that wants to come is welcome! Check out the event at: Sky Trekker Flyouts. Sue says she usually has at least two students in her plane, so one flys out and the other back. 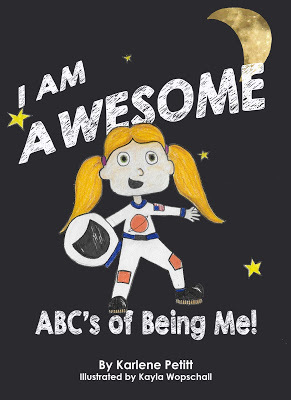 "I try to introduce as many of my students to each other so they will have another student pilot to talk to while going through the learning process. Many of them continue to be friends and often fly together which keeps them in the air. " I nabbed Sue's bio from her website as a time saving strategy, because the few minutes I carved out today I spent reading about all her awards, adventures, and viewing all the people she has helped reach their dreams on that website! Sue Ballew is an amazing woman. Make sure you click HERE to read more. 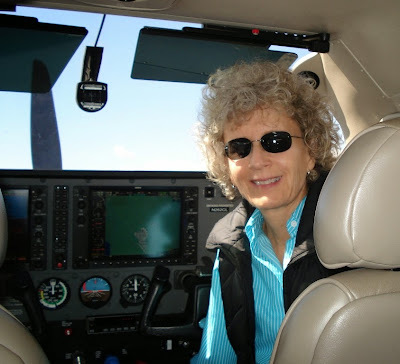 If you have any questions about instructing or want to learn to fly, Sue is your woman! 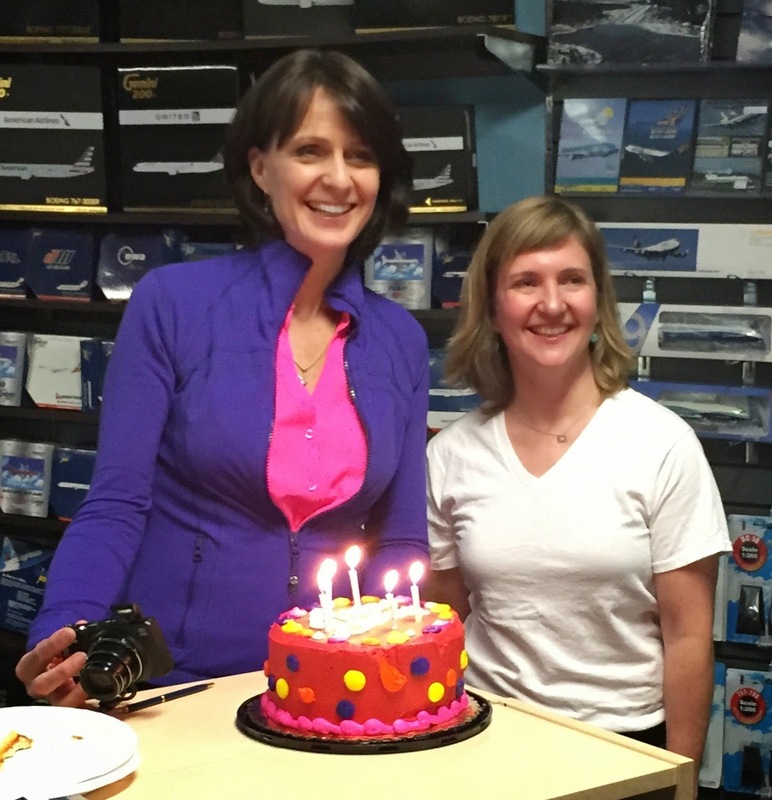 "West Valley Flying Club has been in existence since 1972, over 40 years. 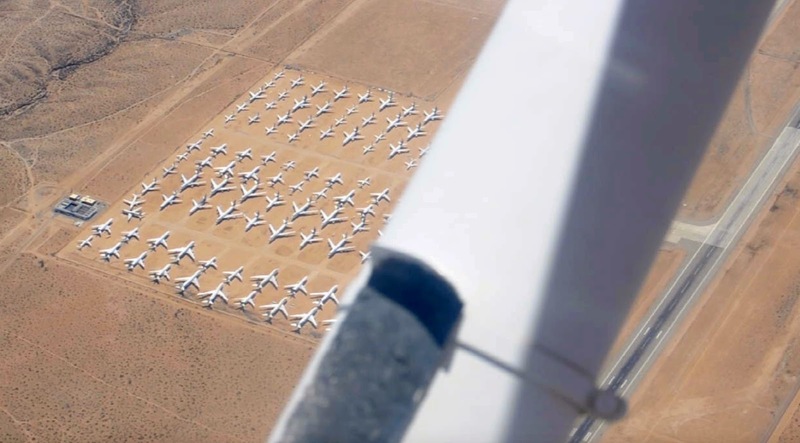 It was the largest flying club in the US until recently. Way back in the beginning the members/CFIs decided to have the CFIs become independent contractors. The rest of the “Peninsula” has pretty much confirmed to that format. What makes this work is that all of the operations are flying clubs. The members pay a monthly fee, usually between about $40 and $50. (WVFC has 850 members). This gives them access to all of the airplanes that are online. The majority of the airplanes are on leaseback from individual members. If the member needs training then they hire the CFI as an independent contractor. We teach with our own methods, are free to work as much or as little as we want, set our own schedules, and teach in whatever aircraft we choose. There is a small amount of oversight, and especially if there is a safety issue. 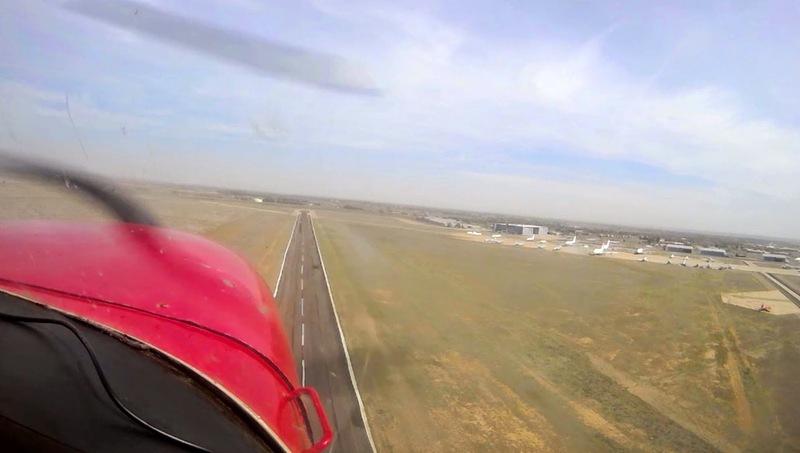 West Valley Flying Club and most clubs monitor safety very closely. 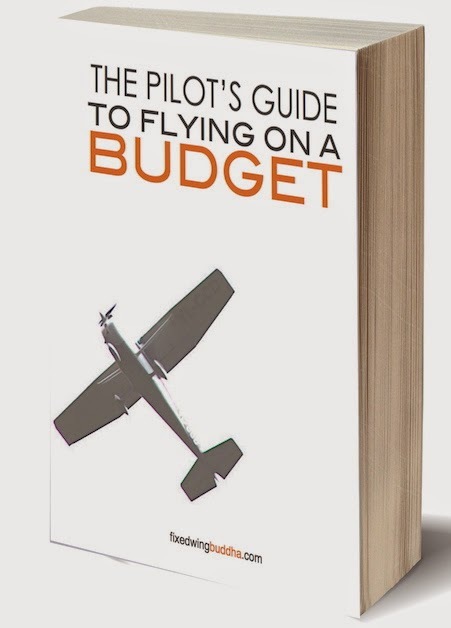 So the clubs make money from the membership dues and aircraft rental – not out of the pocket of the CFI. We keep the entire fee. I, and I assume everyone else, charge from the beginning of the lesson until the end – unlike in the old days of charging for flight time only. (Sheesh – that was giving up our valuable time for nothing). My typical lessons are three hours each. One of the big differences between our clubs and schools is that most of us generate our own leads. In this respect I have been very busy for close to 5 years, particularly because of my website, Skytrekker Aviation but also because I am active in the industry and now have a reputation. If someone just wants to have leads handed to them then they probably want to work at a school. But now that the economy has picked up, (we are in the heart of Silicon Valley also), lots of leads just come to the clubs. But the other thing is, the clubs have all of the CFIs out there generating business for them. So there is tons of online presence and networking. There are four major clubs at Palo Alto airport with about 80 – 100 airplanes online. I teach at Advanced Flyers, San Carlos (which has three major clubs with maybe 50 airplanes online) and West Valley Flying Club. Advantage Aviation is also a large club in the area. 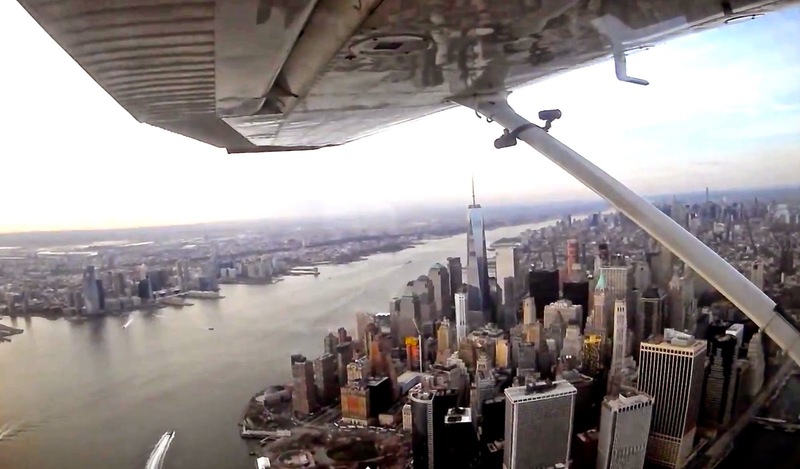 There has been a big push by AOPA for flying clubs recently. Everyone thinks this is a way to reduce costs. I don’t know. I do know that this is a way to have really good instructors – career instructors, that can make a living and that stay. Many of the instructors in the Bay Area have been doing this for 10 – 20 – 30 years. The instructor fees range from about $60 up to $90- $100 per/hour." The Ninety-Nines and EAA will award a $3,000 Karen Johnson Solo Scholarship to provide a young woman (age 16-20 at any time during 2015 calendar year) with financial support for flight training through her first solo and beyond. The application should include the name, address, email, cell phone, birthdate of the applicant along with a 500 word essay describing why the candidate wants to learn to fly, how she will apply her training, and her goals for the future. 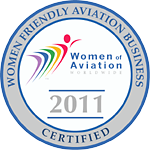 The scholarship will be awarded during the WomenVenture activities at EAA AirVenture Oshkosh on Wednesday, July 22, 2015. The winner will be expected to provide a 400-1000 word essay to the scholarship committee at KJSoloScholarship@ninety-nines.org after her solo, sharing her training experiences and goals she has met. 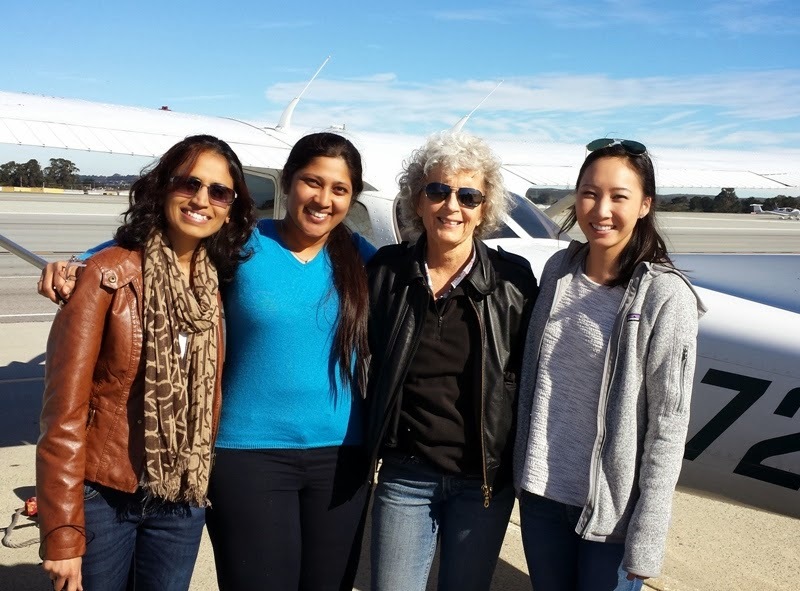 The scholarship is funded by the Ninety-Nines Inc. with support from the Ventura County Chapter of the Ninety-Nines and the 2014 Lightspeed Aviation Foundation Pilots Choice Award. The scholarship funds must be used by Sept 1, 2016. The scholarship honors the memory of Karen Johnson, a beloved member and chapter chair of the Ventura County Ninety-Nines, who perished in 2013 while flying frost control in Delano, California. I will take all that I have learned from your book and from the conversations we had and apply it to my life. I have gained and absorbed so much and will continue rereading over and over again to always remember that the possibilities are endless and dreams do come true. "There are many things that I have learned number one being to believe in myself when everyone else don't and that includes family, friends, and everyone else in general. And fear is inevitable and I can't ever get away from it. I am still at a point of finding my true passion and my niche in life. What I wanted to do in the past was not what I envision doing now. I am just confused. I just need not to be afraid to get out and try new and different things and who knows where I'll land. I know I will eventually encounter hardships, obstacles, and rejections of all kind. Every successful person has a history to tell. And even if my experiences slams in the face and brutally hurts my emotions, I must get up in the face of adversity and keep moving forward, keep doing and taking action because years down the road I'll regret never having tried and never accomplishing what I have always wanted to accomplish in my life because I did that to myself which is let the enemy--fear--conquer my life. I must admit that I was someone who used to live up to other's expectations and never caring about mine, but I realized now that it's not worth it and that I can't please everyone on this planet. I must look within myself and embrace my uniqueness and individuality. I think we all should." And remember... life is what you make of it! This story came to me from a reader. A bit of editing prevailed to keep the name of the airline out of the picture for self preservation. But I loved the story. And this was the essence of the good ole days of airline flying when those boys had a whole lot of fun doing a job they loved. Play the video above and listen to the music as you continue to read. "When I was a kid in Knoxville in the 60's, one of my favorite Christmas gifts was a VHF portable radio.. we had "all kinds" of traffic in those days, around 13-15 airliners a day, including the first French Caravelles in the US by United Airlines. Piedmont was a big player, but another Air Line of the South was the big player, too. Capital Airlines also flew to DC of course and Southern Airlines was our choice for two engine Martin 404 transportation. So I listened to all these guys coming in and out of Knoxville; one that worked for the big Air Line of the South... when the DC-7's first flew there was called "Captain Dixie" by ATC. Why? He played Dixie on a harmonica during his initial transmission to Departure or Approach. It don't get no better does it... Air Line Captain Dixie coming in from Atlanta on long final..."
"More news, on the recently mid air hack of a United Airlines flight, as reported an individual "Chris Roberts " was, escorted off the flight, into airport police hands/ f.b.i after his list of tweets, causing the pilots to divert. Appearing ,on our news channels today, reports that appeared in the Canadian press late Friday, of the said incident, where security advisor " Chris Roberts " , hacked into the on board oxygen system via his p.d.a., the Canadian press were told more of his activities from an f.b.I. report. The, report, into "Chris Roberts" actions on the flight, were far more serious than originally stated, in the f.b.I. investigation, "Chris Roberts," said that, the oxygen system was not the only a.c system he had hacked into, that he, also got into others and on one separate flight, the "engine management system" taking over control of one engine and putting it into " climb mode". In, the same report, " Chris Roberts" and of the investigation into, actions aboard the United flight, he said it was not the only, airline or aircraft model , he had hacked, he told f.b.I. investigators he had successfully hacked the following between 15 to 20 times. The report, also tells of how he would, squeeze wiggle the "seat electronic box" under his seat, and connect to the said aircraft's in - flight entertainment system, he would then connect a cable to this and his p.d.a.. 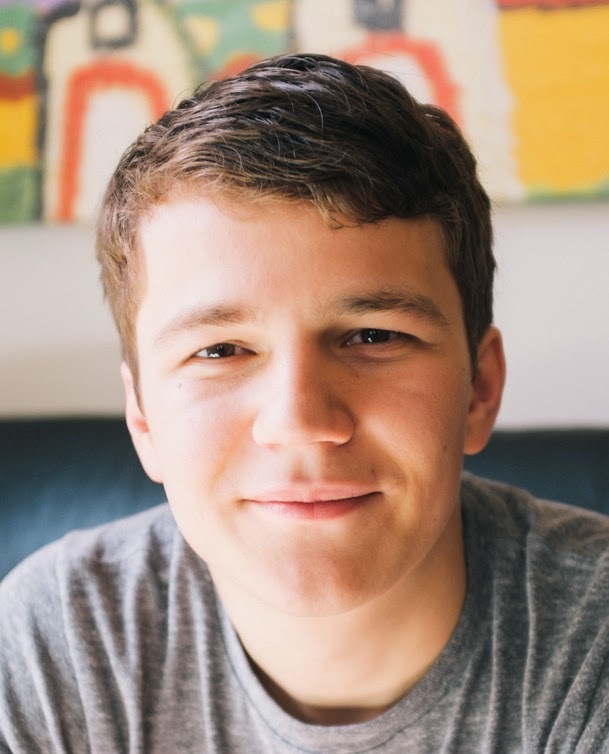 Via this means, Roberts , was able to hack into other operating systems using default / passwords, Roberts said also, that when he had gained entry to a said system, that he overwrote the original pass code. In , one incident, "Roberts" told investigators, how he gained entry to the planes " thrust management computer", which allowed him to take control any input, and that through this, "Roberts" ordered one engine into " climb mode" and send a.c. sideways as it flew, and he also gained access to monitor inputs by the flight crew in cockpit. The, f.b.i. report, goes on to say, that an agent was sent to, Philadelphia, to meet the United flight in question from Chicago, and on inspection of seats 2a/2b, that, both seats " electronic box " had been partially damaged tampered with. To date, Roberts, has not been charged by authorities." We need to assure our pilots know how to fly their planes in the event something breaks... or if they have to take back control! Brussels is a step in the process. when they should be the best? This is the challenge I'm looking into with my PhD. How we train pilots to fly automated aircraft requires a simple shift in training practices. Not only will we get a better product to reduce potential accidents, but airlines will save millions too. More to come on that. And... next month I am headed to Brussels to speak on this topic. Become a registered guest and join the discussions on how to improve safety! I'm not ignoring anything, as I put full effort into improving the Aviation Industry for future pilots, and working to keep it safe for passengers. My plan with my One Wish For Aviation is in full motion. But... Your support can help. 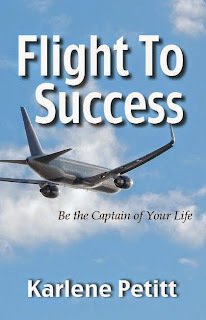 If you've read Flight For Control, Flight For Safety, or Flight To Success Be the Captain of your Life, please leave Amazon comments. They are so much appreciated and will help the mission! And drop by tomorrow to see what I am doing next month. This was something I hoped I might be invited to after I finished the PhD... not before. Life is an adventure! But you have to go for it to make it happen. Adrian and Jonathan flew the trip of a lifetime... a complete circuit of the continental United States under visual flight rules (VFR) in a 1975 Cessna 172 starting in San Jose California! Every job has its minutiae. Along with “precise details,” the definition of this term also includes “small or trifling matters.” Is this not a bit of an oxymoron? For many professionals in their fields, it would seem to be. After all, nurses record temperatures using fractions of a degree. Gemologists classify gems based on tiny differences in color, cut, and clarity. Accountants track the path of each one of their client’s pennies. These professionals would argue that the details are hugely important. Believe it or not, writing is subject to similarly stringent criteria. 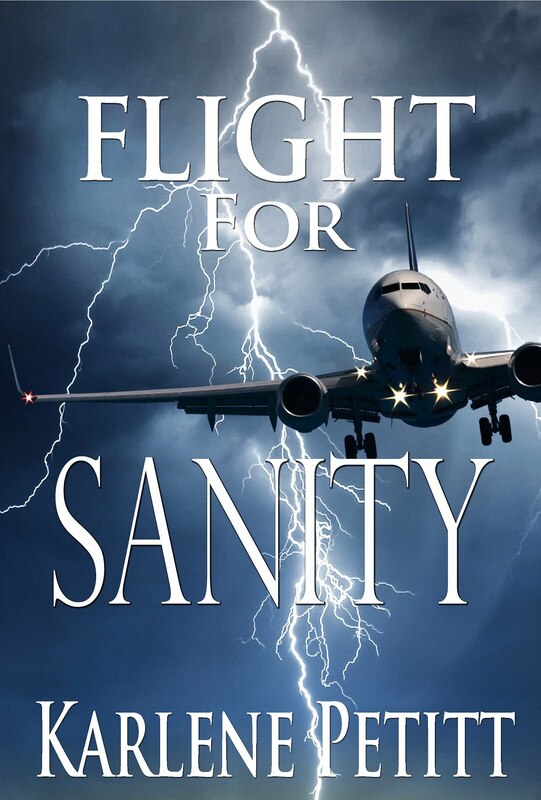 To judge its airworthiness, so to speak, there are regulatory organizations such as the Modern Language Association (MLA), the American Psychological Association (APA), and the University of Chicago Press. These entities produce manuals that monitor the correct use of grammar, spelling, references, and mechanics. Writers wishing to publish scholarly work must meet the specific guidelines. 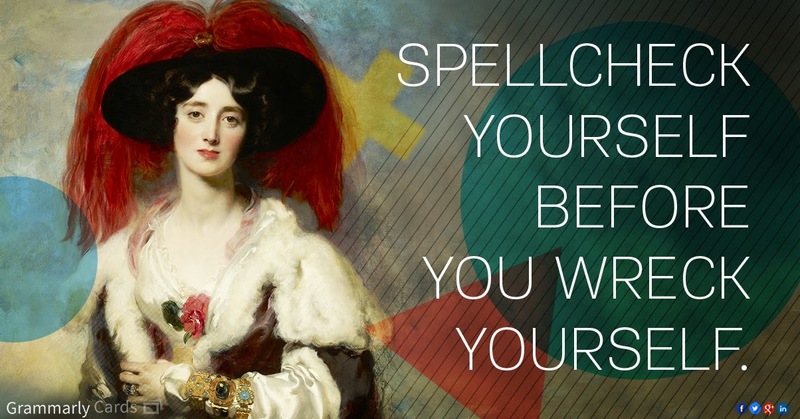 Though the average author does not write for scholarly journals, experienced writers use spell checkers each time they compose a piece. The stakes are high. A fiction author could lose respect from his readers if his novels are full of grammatical errors. Poor word choice confuses readers, causing them to lose track of the plot. If a technical writer miscommunicates vital information, it could result in malfunctions, misunderstandings, or even physical harm. What about that dictionary’s definition of minutia? Of course, this word appropriately describes frivolous elements of a job. However, in the skies and on paper, small details are not minor! Pilots maintain flight safety and contribute to the good working condition of their planes when they conduct inspections. By proofreading and rewriting, authors capture the nuances of words and convey essential facts. They thus influence the popularity and usefulness of their writing. Pilots and writers celebrate the minutiae! 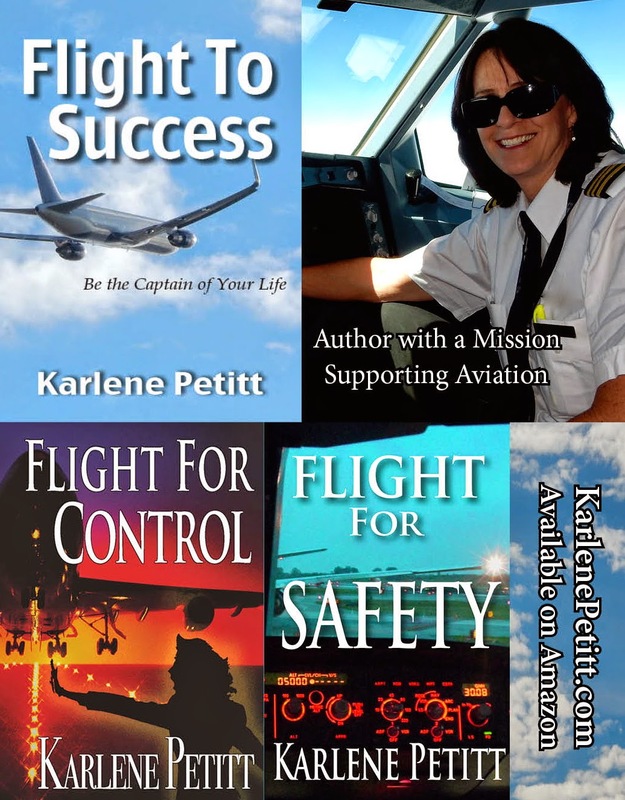 As one of relatively few female airline pilots, I've often been mistaken for a flight attendant, ticket agent or even a snack-bar employee. Occasionally people will see me in uniform and ask if I'm a "real" pilot. Still others congratulate me for making it in a male-dominated field. One day, I was in the restroom before a flight. I was at the sink, brushing my teeth, when a woman walked through the door and looked over at me. "My sister would be so proud of you!" she remarked. I figured her sister must be in the airline business, so I smiled and asked why. The woman replied, "She's a dentist." In uniform, while waiting in the baggage claim for my luggage to come down the chute, I saw an elderly couple struggling with their luggage. I went over and helped them lift their bags onto a cart. The man tried to give me a dollar. This was not the first time I was confused with a baggage porter. I politely said, "No thank you. I'm actually an airline pilot. I help with bags for free." The author is unknown... but the meaning special. I edited it from women to mothers to celebrate our special day. A little boy asked his mother, "Why are you crying?" "Because I'm a mother," she told him. The little boy grew up and became a man, still wondering why mothers cry. Finally he put in a call to God. When God got on the phone, he asked, "God, why do mothers cry so easily?" God said, "When I made a mother she had to be special. I made her shoulders strong enough to carry the weight of the world, yet gentle enough to give comfort. I gave her an inner strength to endure childbirth and the rejection that many times comes from her children. I gave her a hardness that allows her to keep going when everyone else gives up, and take care of her family through sickness and fatigue without complaining. "I gave her the sensitivity to love her children under any and all circumstances, even when her child has hurt her very badly. I gave her strength to carry her husband through his faults and fashioned her from his rib to protect his heart. I gave her wisdom to know that a good husband never hurts his wife, but sometimes tests her strengths and her resolve to stand beside him unfalteringly. And finally, I gave her a tear to shed. This is hers exclusively to use whenever it is needed. "You see my son," said God, "The beauty of a mother is not in the clothes she wears, the figure that she carries, or the way she combs her hair. The beauty of a mother must be seen in her eyes, because that is the doorway to her heart - the place where love resides." For those who have a passion for flight, and a dream of accomplishing something spectacular in their life, nothing will stop them. 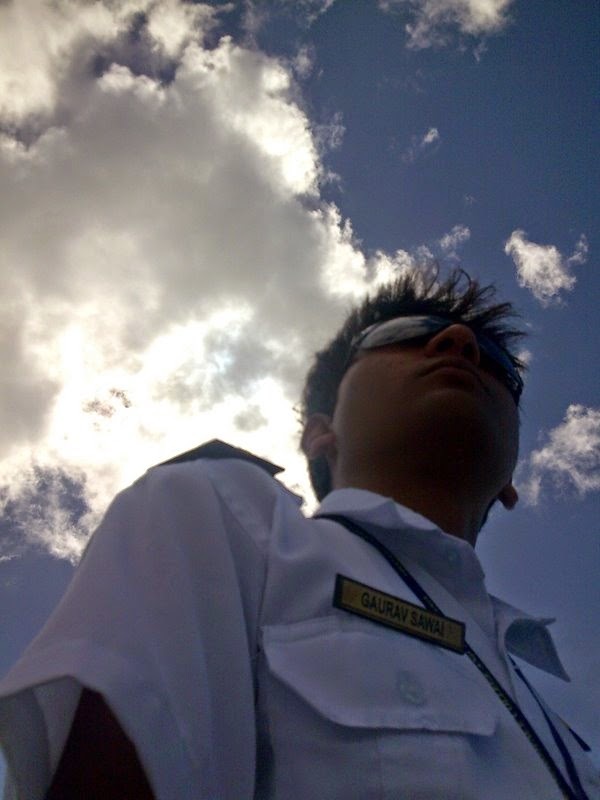 Captain Gaurav has proven that setbacks, accidents, typhoons, finances, or anything that life has thrown in is his path were only challenges to overcome. And he overcame them all. Now this is a pilot I would be proud to call my captain. All these years of struggling to fit myself in cockpit as a professional pilot, I don`t know about others but It was truly thrilling to me. I started my journey overseas. At my last stage of teen-age when rest of the children were excited for their admission in engineering colleges to keep India`s name in producing highest number of engineers. 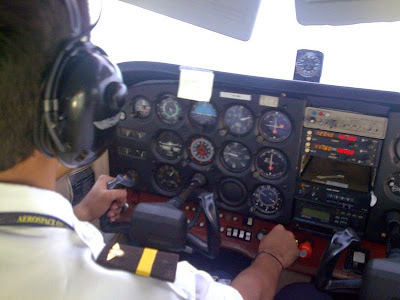 I gave entrance test too but I tore all my counseling letters after I made sure that I am medically eligible to take-up my flying exercise in order to obtain the commercial pilot license. As I waited for my passport issuance, the period stretched for 7-8 months before I can have it. After which I approached the bank for study loan, none of the bank manager took me seriously when an 18 years old boy asking for 1.5 Million INR as a study loan for flight training. Well, upon my request one of my uncle helped me to speak to manager and my dad came on the very last day for loan approval, He came for the paper-work and signatures. And later my fee was transferred to flight academy overseas. Flight-ticket, Visa, all just happened quickly. But still it wasn`t easy though, time tests you, and in my case it’s often and I am use to it now. Just three days before my departure, I met with an accident. It was a compound fracture on my toe and fingers of right leg with ruptured skin, It all happened when I am just about to reach my dream to touch the sky for the first time. And while shivering in cold and anxiety, my first question to the doctor was- “Shall I be able to walk properly? I want to become a pilot!! Well, It’s just a matter of 2-3 months and you will be fine my boy, He replied. But I felt really bad, in three days I suppose to depart. After my operation, my father came and said, leave it. It was a bad luck, do something else, flying is full of risks. Even earlier my dad was not in favor to send me abroad for training as it needs a lot to study to clear the exams and I was not a bright student, I just secured some more than 60 percent marks to keep my eligibility for competition entrance exams. And pilot exams are tough thing to deal. But I promised and convenes him for it and now he has some more to add on it to stop me to go for it. But if you have a will nobody can stop you to achieve what you really need, what you really dream for, tough time trills and entertains some people, easy things looks boring and I am one of a kind who wanted to give a try to taste it. Exactly after three months, with pain and swelling and after getting re-medical by aviation doctor I was at IGI Airport, New Delhi strolling my bag for security checks, Immigration etc. It was all new to me, I never had a chance to sit on an airplane. It was a beautiful introduction with the machine what I am going to fly for the rest of my life and call it an office. But due to rush I could not see it properly and a warm welcome was just happened and my first step inside, I could not sleep that night. All the way, struggling with the questions- how it is flying? How they might be doing inside the cockpit? I will be flying this too, very soon!! And so on.....and once we landed, it was morning and all I was looking at, the giant birds around. It was not easy again, once I started flying. The typhoon kept on hitting the state where I was living, after 11 months of struggle in flying and quarrel with management I was almost at 87 hours of flight time so I decided to change the college and completed the total flight time of 200 hours required to obtain pilot`s license I completed in 17 months inducing a trip to South-East Asia where I did multi-engine aircraft training as well. 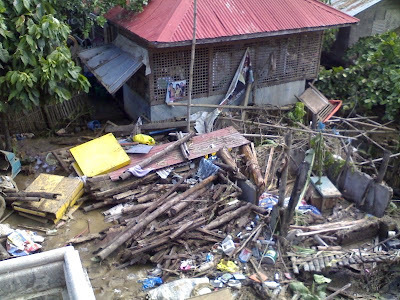 I even faced one worst typhoon and situation of flooding there as well. 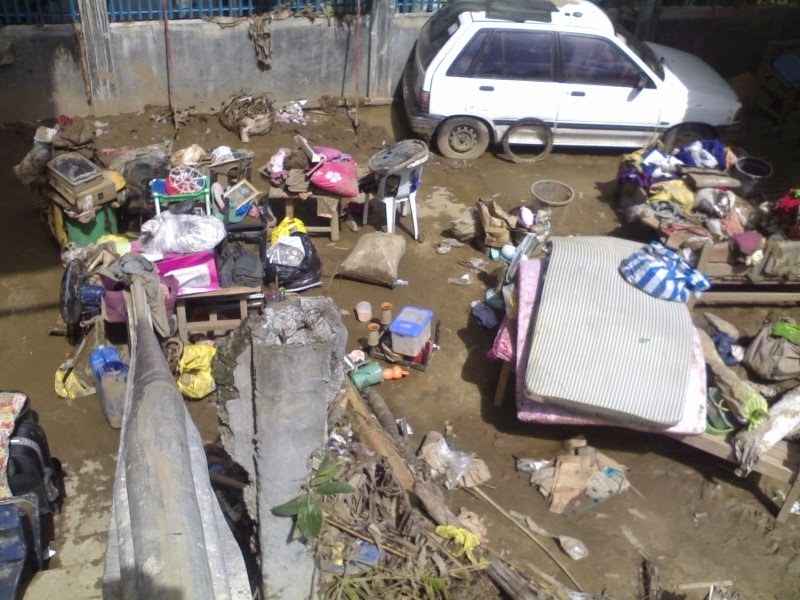 Where I was forced to live on breads and uncooked water soaked instant noodles for 15-20 days, No electricity, and no clean water for bath. 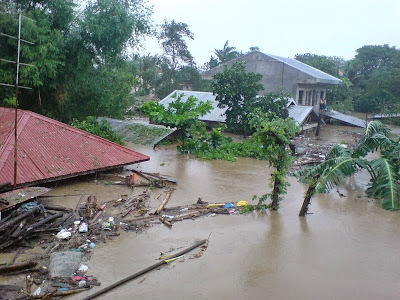 Living like nomads, the scene what I see often on television, where packets of food were thrown to the people stuck in flood through army choppers, I witnessed it live. 750 people were killed on one go, when a ship of Negros-navigation sank with no person on-board alive. And more than 1000 people got killed in total. Somehow I managed to live there, after grumbling storm, sunny days came back, life became normal and I earned the title of commercial Pilot. 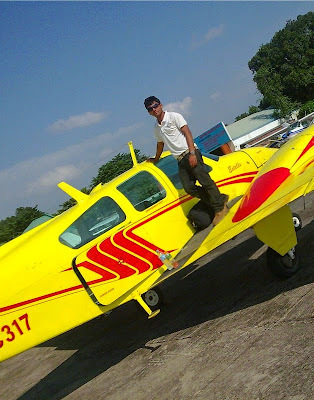 I came back to India and started preparing for Indian Pilot`s License conversion exam, which was not an easy deal, But I made it in few months and here comes the real deal, I kept my promise to my father and I did real hard work to clear all of my exams, but I did that because I had passion for it which made me a brilliant student, who taught few friends later and even started writing blogs and articles on aviation. No-body believed me when I told them my percentage in my academics. I went for recurrent training abroad one more time and after my recurrent training I submitted my papers to claim my Indian license. As I said earlier, life tests you and in my case it’s often. It took 13 months for Indian authority before they could issue me a license and the reason behind that was, all the papers were under scanner after few cases came up where pilot`s got their license with forged mark-sheets where some candidates never passed the exams, and authority was working under pressure with few officers responsible for the issuance of license and applicants were in some 1000`s and they had to scan the older files to eliminate if any fraud and forged case exists while keeping new applicant waiting for it. It was one of the toughest time of my life when I use to visit authority and I started living in Delhi to chase the progress of my file, I started working in call center to keep myself busy and also reduce some burden of my parents, I did not asked for any financial help from my parents and started earning a salary of 14,700 INR. 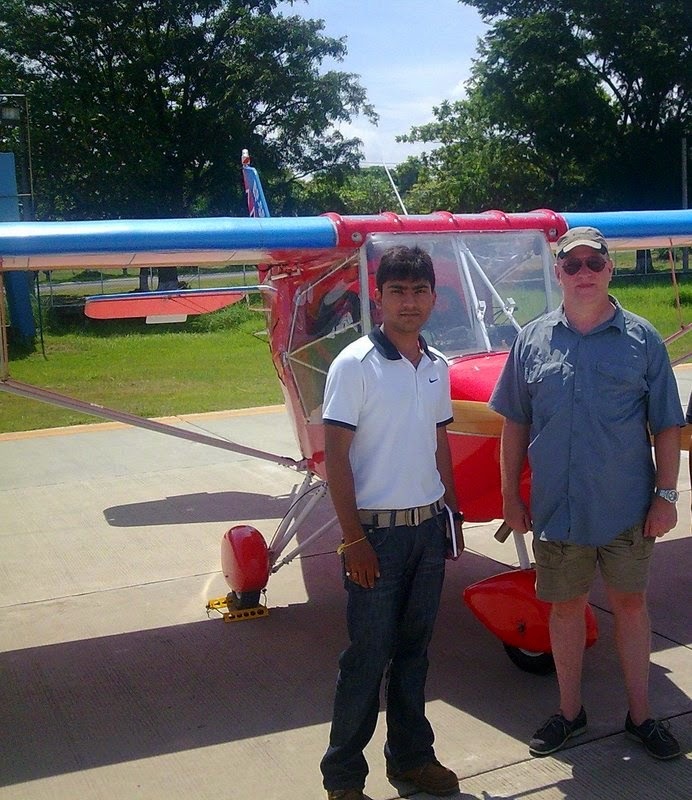 "On Nov 2012, I got my New-Year gift in advance, the authority issued me my Indian Pilot`s license with no objection on it." Since then, the condition of Indian Aviation sector was not in a good health. I kept preparing for exams for airlines and also I started running behind the Non-Schedule operators for a flying job. Up-on my several time of request one of the company took my flying-test on simulator and then interviewed me and agreed for the hiring. After a long struggle from year 2007-2015 I am now officially lined-up by one charter company who operates for VVIP`s and I am waiting for my joining. It was not at all easy but I achieved it because I loved it, which gave me a passion and patience, both. And during all these years I lived at many places, including several metros abroad and India, both. I use to carry a back-pack with me and that was my home. Where-there is me and my bag stays, It is home, Being job less these years and surviving with little pocket-money. I am still at home. A home which I make everywhere I go with my back pack. Whenever I have time from the rush of city, I go home and I love to live with my parents. Whenever I get tired of chasing dream, when I feel low, I go home and live with my parents and recharge myself. It's an honor to know you Captain Gaurav! Pilots learning to fly paying big money for the privilege. We work hard, build hours, gain experience and then we receive the opportunity for employment. At that time we are paid to fly. Or better said, we should. And while US commuter pilots are often paid below a standard of living, guess what's happening in Europe? Apparently there are airlines where the pilots not only make minimal income, but they also pay to fly! The term indentured servant comes to mind. Should this be legal? It's not in France, nor in the US. 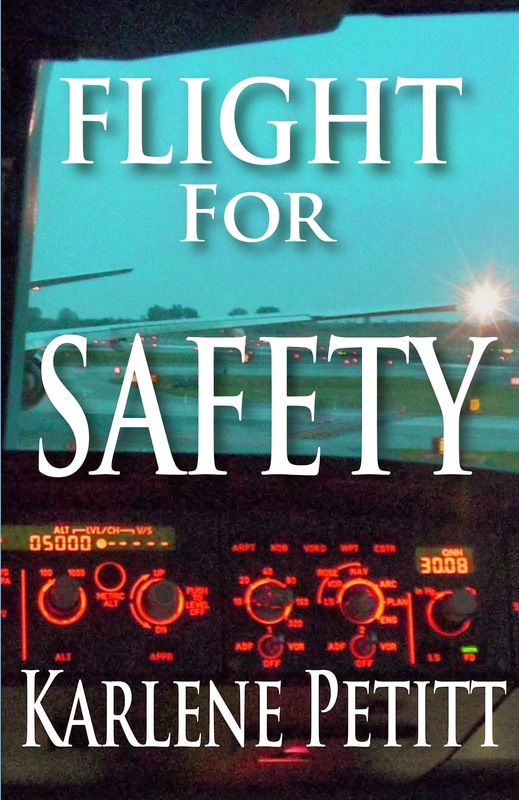 Charging pilots for the privilege to build flight time, while carrying passengers has an unethical tone to it. Taking advantage of the financially challenged pilot who spent all their hard earned money on becoming qualified, is wrong. What can be done? Take a moment and read more at the European Cockpit Association (EAC), sign the petition and then come back to tell us what you think about all this. Sign and Share the: Petition! Learning how to work with a crew after being a single pilot. It's all about communication and working as a team. Use your fellow pilot as another resource. Carrying old habits that don't work with the new equipment. Use what does, but leave the rest behind. Comparing the old equipment with the new. Lose the phrase.... "But in my other plane we did...."
Remember: This is not your other plane. This month Rob Burgon is representing our BIF Team and discussing transition to flying different aircraft in three easy steps. He's got some great advice. Click on over to Tally One! 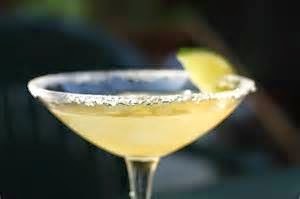 Today is Miss Darby Bradshaw's Happy Birthday, and the celebration of Cinco De Mayo rolled into one! And Darby is never one to miss a chance to drink tequila... the good stuff. 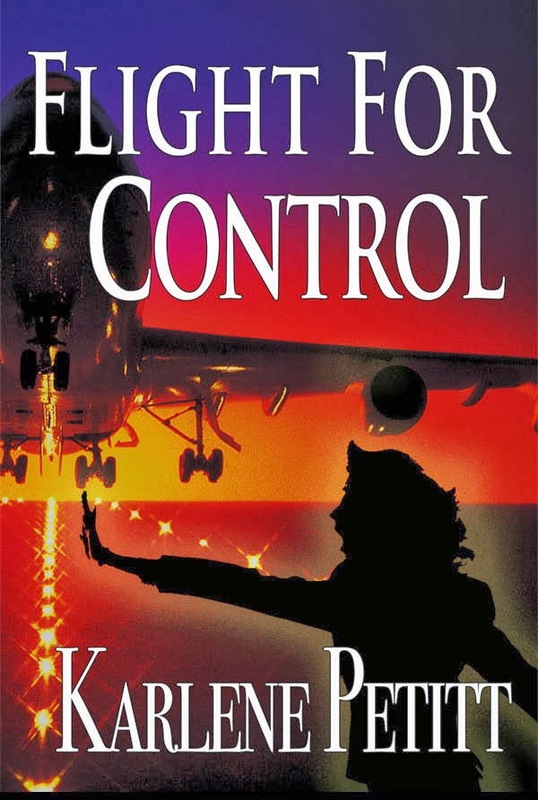 As a matter of fact, for those who have not read Flight For Control... it's time. Tequila does in fact makes your clothes fall off. Be safe and party responsibly! This morning will begin with an 0530 wake up (0330 PDT) and a flight back to Seattle. A fabulous time had by all in the Windy City! And an upgrade to First Class for my birthday present. we met a great group of people! What were the odds that we would be seated with a woman working on her dissertation for her PhD in Leadership? Another couple who is truly enjoying the journey, as they are traveling the US visiting every state! 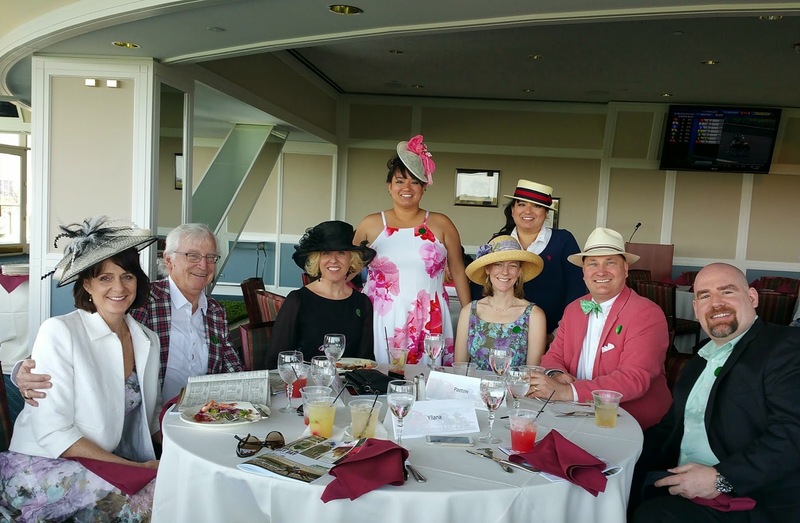 And the twin sisters, who were not originally at our table, but through another twist of fate ended up joining the group and so glad they did. Gio taught me the art of celebrating the hat! And then off to Aviation Universe for a talk, book signing, pizza, and the simple net radio broadcast. 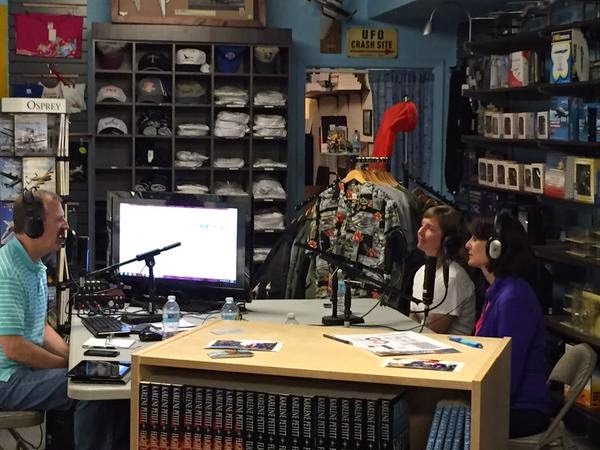 What a fun night with the great folks at Aviation Universe, and as always, chatting with Marc at Simple Flight Radio was a blast! And the birthday cake too! It's officially my birthday and time for a nap before I fly. So for all... remember life is short, maybe we should learn to eat the cake first!